Rodeo Games have dropped the price of their awesome strategy title, Hunters 2. We loved the game to bits, and awarded it a stonking 92% in our iOS review, and thought it was brilliant value for money at its original price, so now that it is just 99c, there is no excuse not to pick this up. You can get the game from the iTunes link below, and if you didn’t know, you can also get the full Hunters 2 soundtrack for free. 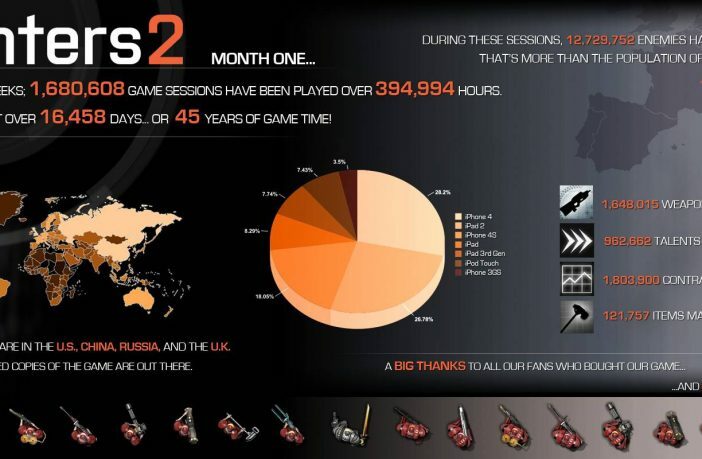 You can also check out a great info-graphic below that show you the stats from the first month of play.